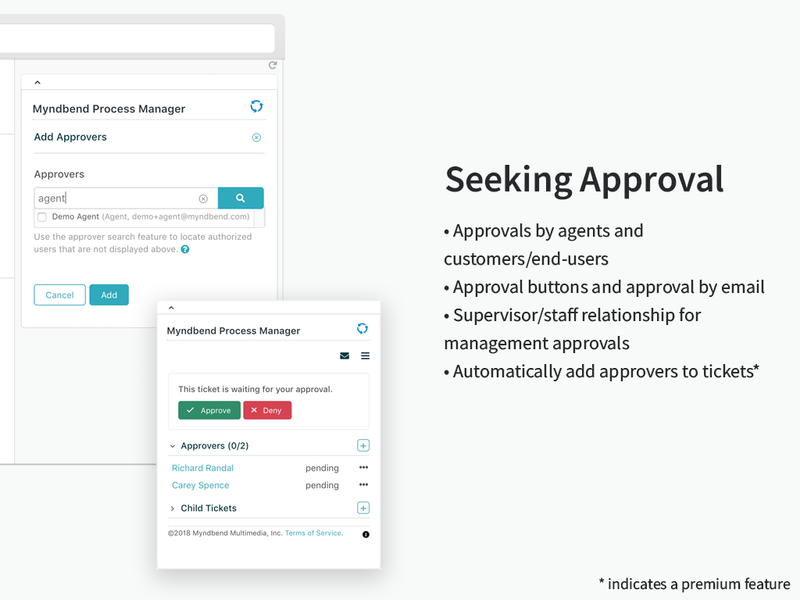 Myndbend Process Manager™ provides an easy, convenient and flexible way for agents to build custom processes in Zendesk. Starred items above require a $6/month/agent subscription (Lite agents not counted). Please ask us about volume discounts and yearly payment options. Visit the Myndbend Process Manager™ product page for more details. 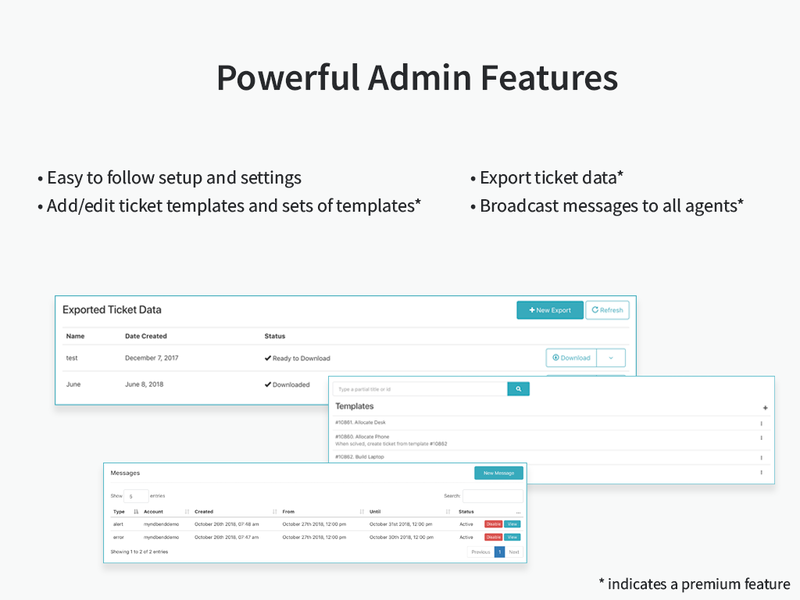 Install the app from the Zendesk App Marketplace. Locate the Myndbend app (circular icon) on the left side of Zendesk. Follow the on-screen instructions to finish the setup process. 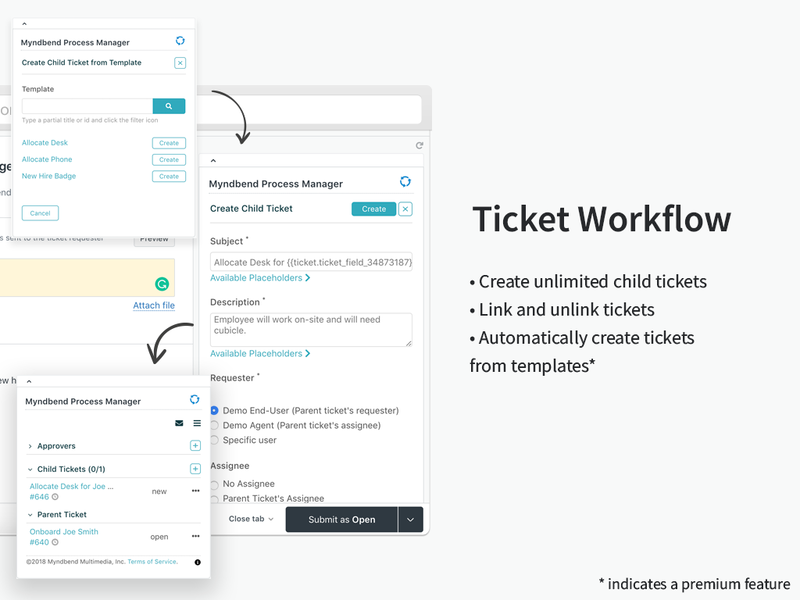 To create child tickets or add approvers, navigate to any open ticket in Zendesk and expand the apps column ("Apps" button top right).